Tony Smit was born into a flying family taking his first flight at the tender age of six months in a Rearwin Sportster, an aircraft very similar to the Piper Cub. 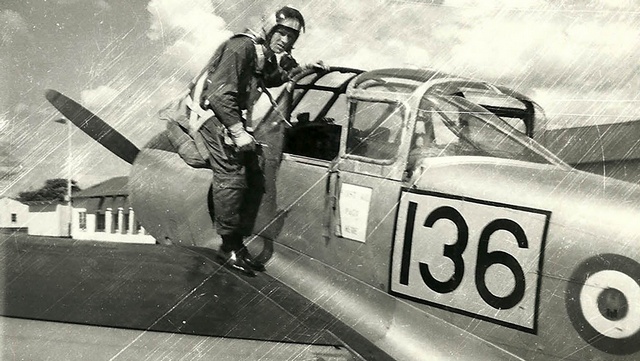 Tony's father, SAAF Major AC Smit known by his friends as “Blacksmit”, was advised by a doctor to take him flying to ease a bad case of whooping cough and there was no turning back from there. Growing up Tony spent every free minute at whichever base his father was operating from attempting to get onto any flight he could, he fondly remembers his time spent at AFB Zwartkop where his father was officer commanding 41 Squadron. 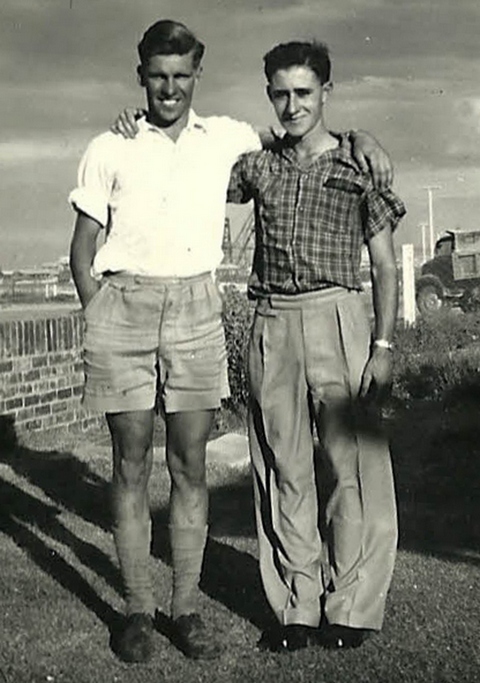 Tony and his brother went to school in Voortrekkerhoogte and walked to Zwartkop every day after school, they had to do their homework in Maj Smit's office then they were free to roam the flight line and beg for flips in Venturas, Dakotas or any other aircraft on the line at the time. At the age of 14 Tony started formal instruction in a Tigermoth that his father had bought for one hundred and fifty pounds and that included a spare motor. The Smits were living in Welkom and times were tough which unfortunately put a halt to his flying. Half way through his matric year Tony was forced to leave school and go to work to help support the family. His started work with an electrical contractor and soon started his ATC1 and ATC 2 courses in electrical engineering, the equivalent of NTC 6 today. 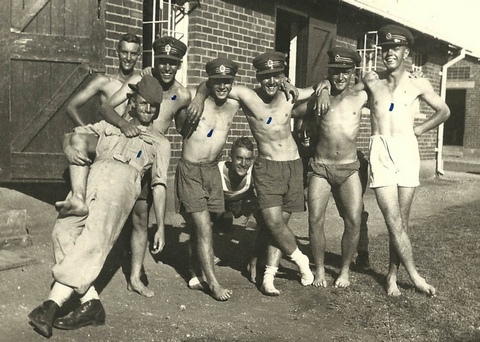 Tony applied to the South African Air Force in 1957 and went to the Air Force Gym in Valhalla to attend the Selection board; unfortunately he was not accepted and was told he was too big to fly Vampires. Tony believes that the real reason for him not being accepted was that his father had become active in politics and was a member of the United Party (SAP) and he was English speaking, both of which the National Government didn't appreciate at the time. 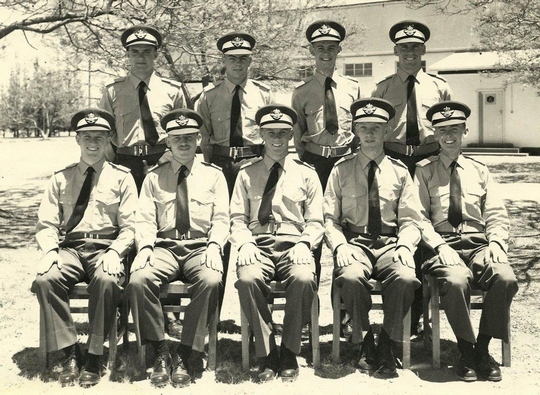 Tony then applied to the Canadian, British Royal, New Zealand, Australian and the Royal Rhodesian Air Forces he was invited to Canada for selection in June 1959 but just before his departure he heard he was accepted to the RRAF. He weighed up the options and decided that Rhodesia was the better option as it was closer and wasn't cold. 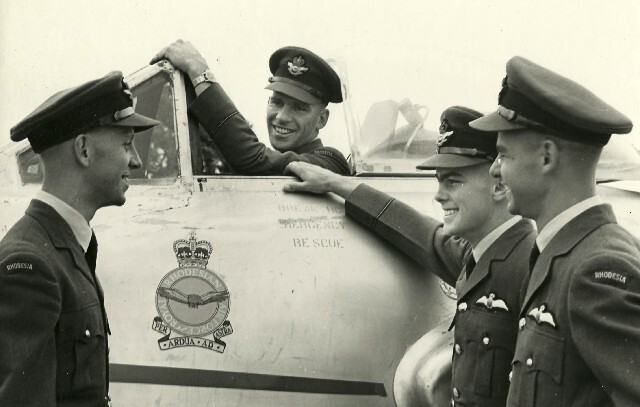 In January 1960 Tony started his new career in the RRAF, doing his initial training on the Percival P.56 Provost at Basic Flying School (BFS) Thornhill Air Force Base. 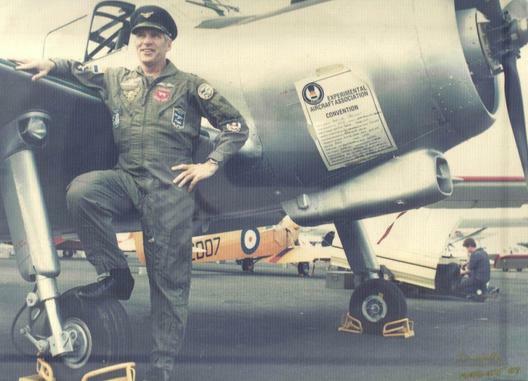 On completion of his Basic flying training he was transferred to Advanced Flying School also based at Thornhill, where he continued his training on De Haviland T-55 Vampires. Soon after obtaining his wings he was deployed to Ndola in the then Northern Rhodesia now Zambia as part of the United Nations Forces this was in the height of the “Congo Crisis” and their objective was to suppress the uprisings of president Tshombe in the Ndola area. Towards the end of 1963 Tony was transferred to transporters and started flying Dakota C-47's, this is where he met the late Peter Knobel another one of South Africa's flying legends. 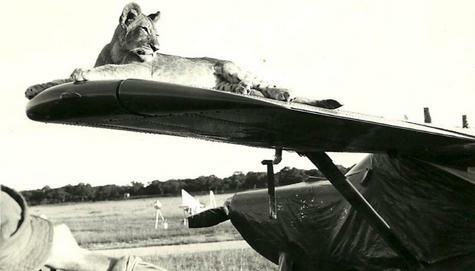 Tony and Peter flew together on many occasions including taking part in the last Lusaka airshow in 1964. All Dakota pilots were forced to do at least one Parachute drop for, much to his disgust Tony completed the jump and proudly stated it was his “first and last time he would jump out of a perfectly serviceable aircraft”. Joshua Nkomo was banned and later detained by the Rhodesian Government in 1964 and this led to an uprising of his followers, Tony was immediately transferred to 4 Squadron and underwent Recognisance Training on Provosts and Vampires. He once again flew many ground attack sorties against the Rhodesian Dissidents now training in neighbouring Zambia. Ian Smith the Prime Minister of Rhodesia requested that Tony do his conversion on to his newly acquired Beechcraft Barron as Tony was the only pilot in the RRAF that had this type on his licence. 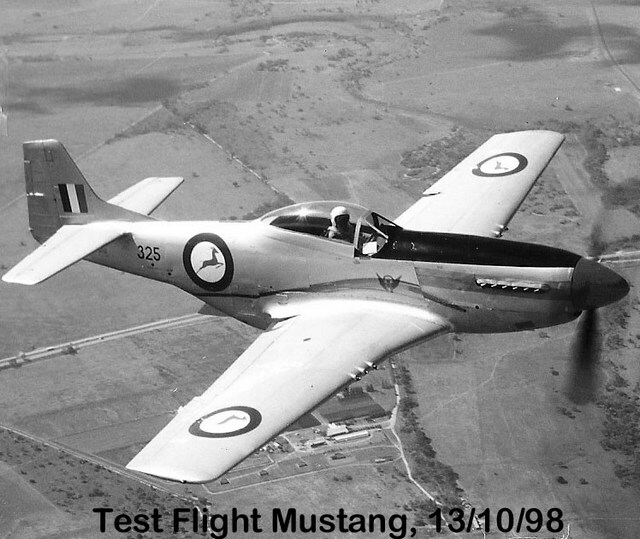 During his time in the RRAF Tony never stopped instructing civilian pilots this he was did from first light before work and after work until last light every day. 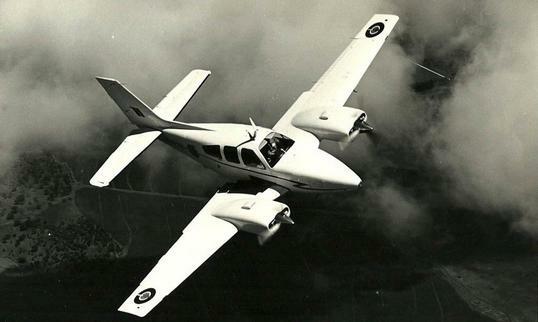 The RRAF now called the RAF (Rhodesian Air Force) were due to receive a shipment of T-28 Trojans in 1968 but they were intercepted before delivery and confiscated due to sanctions imposed on Rhodesia. The RAF then managed to acquire a number of Aeromacchi AL 60's which they called the “Trojan”, Tony became an instructor on the “Trojan” and also using them in a recon role. Tony's spirit for adventure soon raised its head and he decided to try something new, this led him to rotor wings. Alouette III were the choppers used by the RAF and 1970 Tony was type rated and ready for action. Unfortunately during his second solo training sortie in the mountains Tony had his one and only accident in any aircraft. Just after doing a tactical landing on a massive boulder the tail rotor gearbox disintegrated, Tony forced the Allo down on a sloping rock next to the boulder breaking off the undercarriage and preventing a long tumble off the mountain effectively saving his flight engineer, himself and the aircraft. 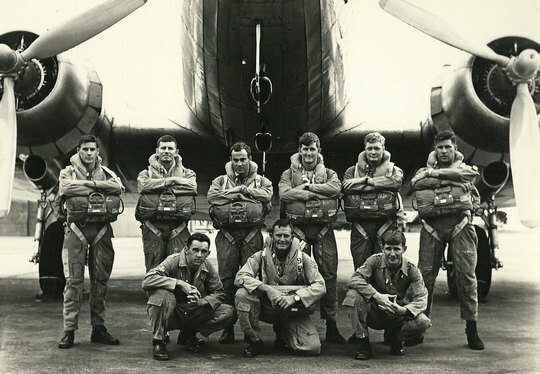 July 1974 Tony returned to South Africa and started work in the SAAF, his first posting was at 21 Squadron which were the operating Mercurius and later Merlin VIP Transport Jets. 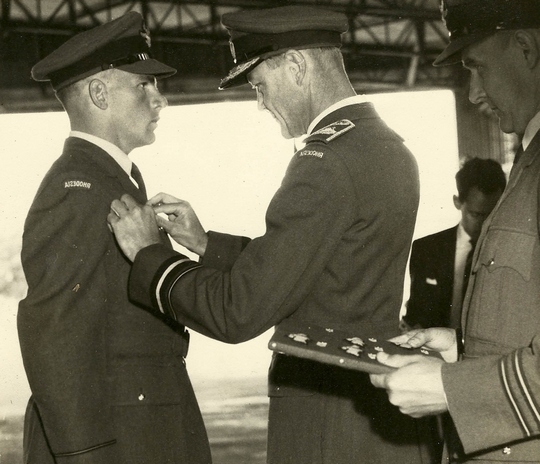 In 1982 Tony promoted to Officer Commanding 41 Squadron operating the Atlas Kudu and Cessna 185's at AFB Zwartkop. 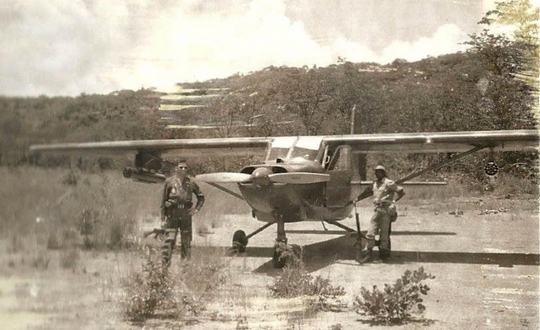 During this time Tony spent time in Angola doing many classified recon and photo operations in confiscated Angolan civilian registered aircraft ranging from Piper Aztecs to Beechcraft Queen Air's most of which were later incorporated into the SAAF. 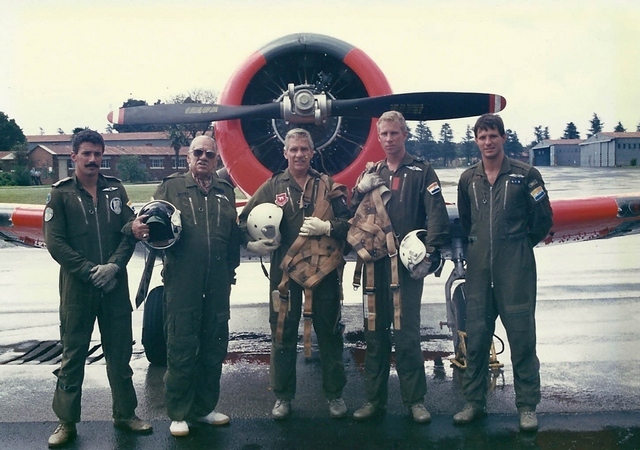 The South African Air Force Museum became his home from 1986 to 1990, Tony followed in the footsteps of Col McGregor founder of the SAAF Museum. During Tony's time as OC SAAFM he managed to restore eleven aircraft from mere scrap to flying status with the help of a small but dedicated staff. These aircraft were the De Havilland Hornet Moth and Chipmunk, a Fairchild, a Fieseler Fi 156 Storch, a Edgar Percival EP-9, a Sikorsky S55, an Aérospatiale Alouette II, a De Haviland Vampire, a Percival Provost, a Spitfire Mk IX e and of course Tony's personal favourite the Mustang P51. Tony seemed to infect everyone that worked with him with his enthusiasm and can do attitude, nothing was impossible no matter how difficult it looked. The SAAF Museum soon became a regular participant in all the air shows around South Africa. In 1991 81st Flying School was established and Tony was requested to head up the training of pilots from Transkei, Venda, Bophuthatswana and Ciskei as well as many from Swaziland, Malawi and Zambia. During this period he was also involved in the acquisition of all the aircraft used by the TVBC states. Later Tony was moved to Air Force HQ where he was Director Military Cooperation and Director Foreign Relations. Tony never stopped flying even when he was based at SAAF HQ he continued to instruct and remained actively involved at the SAAF Museum. In August 1995 he retired from the SAAF and on his last day he flew his last sortie in an SAAF aircraft. National Aircraft Corporation (NAC) immediately snatched him up and gave him the position of Chief Pilot operating throughout Africa. He remained with NAC until 2001 when he decided to start company that specialised training and examining pilots from all over Africa mainly on Beechcraft aircraft. In 2007 the South African Civil Aviation Association offered him the position of Test Standards Officer for executive jets and turbo props. Tony remained with the CAA until 2011 when he was offered the position of Instruction and Development manager at Solenta Aviation where he is still today. Tony spends his off time with his wonderful wife Shirlee Tony and Shrilee have three Children Richard, Andrew and Cheree Ann . Richard and Andrew joined the SAAF and are now both flying for SAA. In 1990 at Richard's wings parade a historic fly-past for the Smit family took place in the final parade formation there were three generations of Smit pilots in the air at the same time, Grandfather, Father and Son. 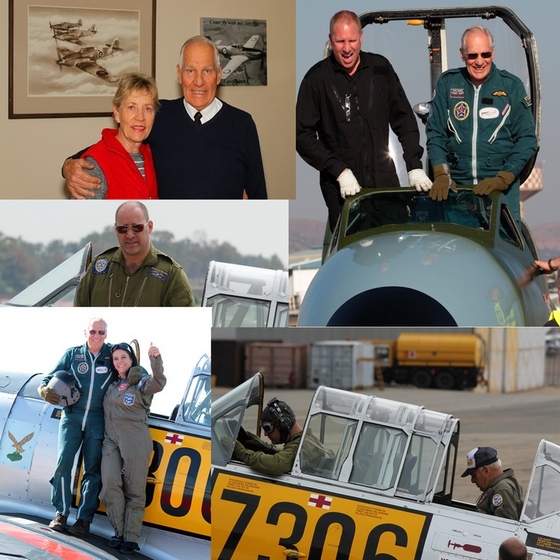 Tony actively flies at The Harvard Club of South Africa based at AFB Zwartkop and also flies the VampireT55 based at Wonderboom. Tony has chalked up well over 24000 flying hours throughout his flying career and is rated on more than 250 aircraft types, taking into account that he has never flown long haul airline routes this achievement is nothing short of amazing, may there be many more. A very special thank you to Tony and especially Shirlee for all the photos and time spent with both of you going through endless piles of logbooks.